Hubble with ACS/G800L spectra released by the ST-ECF as part of the Hubble Legacy Archive project. Following decisions made by both ESA and ESO during the last few years, the ST-ECF has closed and ceased operations on 31 December 2010. 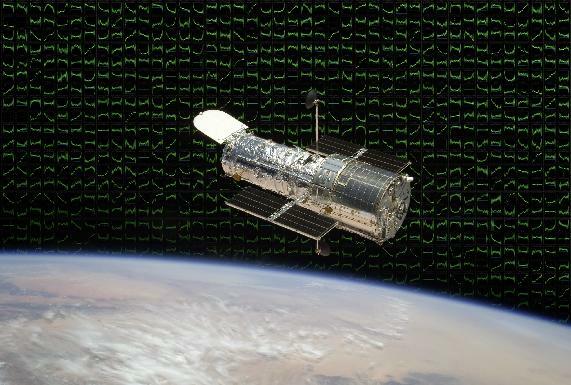 Established as a joint venture between these two organisations in 1984, the ST-ECF has worked in close collaboration with the STScI in Baltimore to support European users of Hubble and to provide significant contributions to the operation of the observatory and its instruments. Information resulting from the group's instrument science activities has been transferred to STScI and is available from their website. Of topical interest, this includes all the work concerned with slitless spectroscopy obtained with NICMOS, ACS and WFC3. Re-links from the previous locations on the ST-ECF web site to the corresponding location on the STScI site have been established and should work for the remainder of the lifetime of the ST-ECF web site. The Hubble outreach activities, started in response to a request from NASA more than a decade ago and delivered through spacetelescope.org, will continue at a substantial, but somewhat more modest, level with the continued involvement of the ESO education and Public Outreach Department (ePOD) and a financial contribution from ESA. Plans are being implemented to migrate the European HST Archive to ESA's European Space Astronomy Centre (ESAC), Spain, where most of ESA's Space Science Archives are located and operated from. In the meantime and during the migration period (2011), the European HST Archive will still be operated with ESA support from within the ESO Science Archive Facility. It will continue to serve data in the same way as previously. Support and handling of emergencies will be done on a best-effort basis. For questions and help regarding the archive and its data products please contact hst-archive@eso.org. Arrangements for the travel of European scientists to the USA on ESA Hubble business - previously dealt with by the ST-ECF - will now be handled by ESA's Hubble Mission Manager at STScI. Information on the fate of the ST-ECF website and a history of the activities of the ST-ECF group in Garching can be found in the last issue (No. 48) of the ST-ECF Newsletter.